MIT researchers have invented a system that allows someone to communicate silently and privately with a computer or the internet by simply thinking. 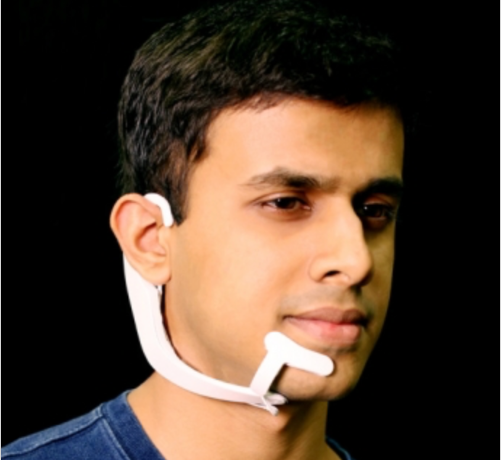 Electrodes in the device pick up neuromuscular signals in the jaw and face that are triggered by internal verbalizations — saying words “in your head”. The signals are fed to a machine-learning system that has been trained to correlate these signals with particular words. Bone-conduction headphones also transmit vibrations through the bones of the face to the inner ear to convey information to the user.